Based on an expert knowledge it is no wonder why Syd Smith and Sons is an award winning butchers. Right in the centre of Worcester, this friendly butchers offers the most succulent and delicious meat. We have a number of delicious meats to choose from. Herefordshire reared beef is arguably the World’s best beef. We offer excellent value prime Beef, Pork, Lamb and chicken. We are happy to answer any questions you might have. We use our expertise to select only the finest meat which is chosen for it’s tenderness and flavour. Our meat is traceable, quality local reared. All our chickens are Free range for flavour and farming sustainability. When it comes to meat, supermarkets offer a false economy. On the face of it they might appear to be cheaper. In reality the quality that a local butcher offers is far superior to that of a supermarket. Our meat is fresher, better and can be traced back to the farmer by less steps. 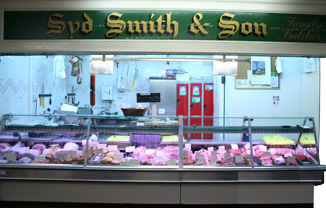 what’s more, Syd smith and Sons offer ranges of meat that you simply cannot get at supermarkets. 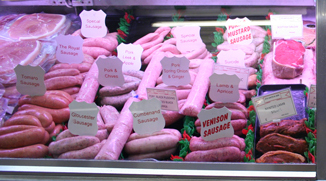 Syd Smith and Sons, local Worcester butchers, are proud to offer a range of award winning local sausages. We have a range of flavours to tantalise your taste buds. Our sausages are not made with the rubbish that goes into many supermarket sausages. You can tell this from the taste. We also have available Gluten free and slimmers sausages. Pasties, pies and Sausage rolls. Great for a tasty snack if you are busy about town, or to take home and reheat. Syd Smith and Sons also boast the best pork scratchings in the county. 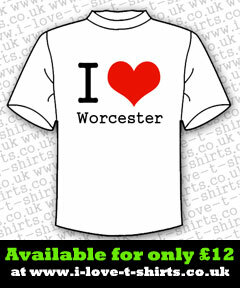 If you are in Worcester City centre, drop by. We look forward to seeing you.